A shadow was cast over the Haunted Woods as dark clouds gathered. A thick haze shrouded the forest of leafless trees. Along a narrow, winding dirt path, a lone, spirited young Bori made his way down the trail, lantern held high and close, his eyes wide, glancing back and forth, watching for any sign of movement behind the trees and within the very shadows. So you landed your dream job, working for the next big bad, but how do you climb the slippery (and occasionally slimy) career ladder? Frequently to get a toe in the door to working for an evil overlord you will be starting right at the bottom as a humble, low-paid minion. Expect long hours, poor (if any) pay, and have to put up with frequently being a test subject for the inventions that the evil genius has come up with. With little to no job security as you may be fired, fired at or caught in the cross-fire when those goodies come to put a stop to everything you want to get out of the minion-status pronto, become a henchman quickly and then aim for the heady heights of being numero uno sidekick. Don’t worry, with a lot of dedication and hard work you can achieve your goals if you follow our fool proof guide. If your pet is lucky enough to have a petpet, they will almost certainly have made a great friend for life. Petpets come in all shapes and sizes, each with their own quirks and personalities. Here I will run through a small selection of petpets your pet might meet, and hopefully they will find the perfect sidekick! These Altadorian petpets are famous throughout Neopia as the stars of Altador’s regular Chariot Chase events, where the biggest and strongest alabriss compete in dramatic and tension-filled races. Most alabriss do not undergo the intense training required for this, and so most grow to much smaller sizes, perfect to live comfortably in your neohome and to be cared for by your pet. Ah, babaas. These petpets can be seen in many different situations and I would be surprised if your pet hasn’t encountered them yet. When Neopia is in danger who are you going to call? The Defenders of Neopia of course! An organization of super powered heroes dedicated to keeping Neopia safe, they are always ready to answer the call to action. However, who is going to help a Defender if they’re the ones in danger? Why, a partner and sidekick of course! While all experience heroes able to handle themselves, on the more difficult missions even the most adamant hero brings along some help. But each hero has their own preferences for who they seek in a partner and sidekick. If I have to fill out one more requisition request, I’m going to scream.” My sister seemed to crumble under the weight of leadership and red tape. She’d thrown herself over the ever-growing stack of forms and letters pleading for help. Her mane fell to cover both of her eyes, and she reminded me briefly of a Vacana. “Aerlliin, if this be too difficult for thee, might thee need a vacation?” I sat down, and this lowered me to the point of being unable to see her over the desk and paper that seemed to gain another ream, as if by magic. “I can’t just go, Amulatt. I haven’t even been on a mission myself in over a month because that Rift you and Ance made stuff go wonky all over Neopia.” She must have seen or heard me flinch. “Not that anyone blames you much anymore!” “That doth not settle mine heart, Liin.” I sighed, which sent a piece of paper flying. It returned to its stack of its own volition, determined to stay in the ‘In’ box. I wondered what charms Liin used to keep things so orderly, as every other desk I’d seen recently was so messy you could barely see the ink blotter. The sheet was marked ‘Urgent,’ and seemed to detail something Doe had done months ago. "Your Majesty, are you sure you wish to retain the services of a thief?" King Hagan said, raising his eyebrows. The Faerie Queen nodded emphatically. "I think Hanso deserves another chance, and he will be able to use his abilities for good now. After all, he did save Neopia from impending doom," Queen Fyora replied. "You are also aware you are asking for one of the best knights in my army." "I am well aware of that, King Hagan. I am willing to compensate in whatever means necessary." King Hagan paused for a moment to think, and rubbed his right paw against his forehead. "Come to think of it, I think we can strike a deal. The university's sorcery department is currently understaffed." "You wish for monetary compensation to hire more researchers?" "No, I am asking for Faerieland's finest scholars to help bolster our university." Now it was Queen Fyora's turn to think deeply for a moment. Parting with some of her scholars would certainly slow down some of Faerieland's research, but research would all be in vain should a dangerous artifact wreak havoc on Faerieland again. "Well, hey, anything new today?” asked a quad Yellow Zafara, looking over the top of a fence at his neighbor, a quad Green Techo. (The term “Quad” is used loosely here as both quad Zafaras and quad Techos stand upright but are regardless much shorter than their anthro equivalents.) The Green Techo briefly continued to read his copy of the Neopian Times before sitting up out of his reclining position on his lawn chair and then turning to look at his neighbor. “Oh, Thal, just in time… Did you hear about the event the Defenders of Shenkuu is doing?” asked the Green Techo, Rod, while pointing at an advert in the newspaper. “They’re holding tryouts for new recruits today, those who volunteer will be assigned to one of their certified Defenders as a temporary sidekick. Knowing you and knowing me, we’ll both want to be there. It says they’ll provide the costumes when you arrive, too.” Thal and Rod were essentially permanent rivals; they continually competed at anything they could think of that they could compete at. Sporting events, board games, even doing household chores, their need to one-up each other was unrelenting. 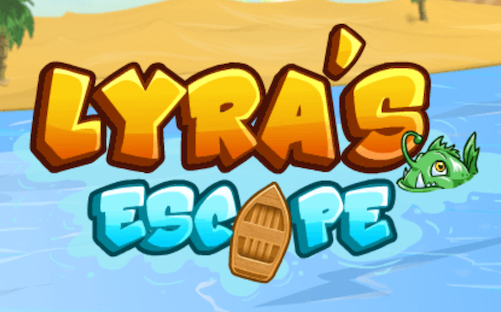 This week's issue is brought to you by: Lyra's Escape! At least he let you keep the fork. Terra woke up from dreaming that she had a stomachache, to discover that she really did have a stomachache. This was not the first time this had happened in the middle of the night. With a grimace, she carefully rolled over onto her back and tried to relax, listening to her own breathing, trying to think of happy things. 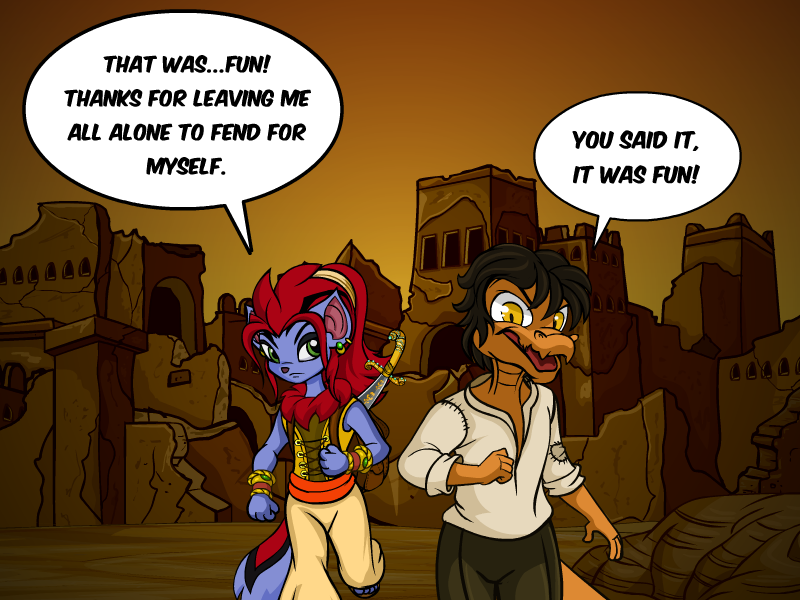 Life outside of Neopia can be rough... That's what we have Neopets for! Myncis to go Bananas over! Myncis are one of the smartest, most outgoing species in all of Neopia. Originating from Mystery Island, Myncis are known for their large ears and extremely curly tails.